Origin: East Asia, Japan, Korea, Kuril Islands, Sakhalin: mountainous regions. Special Features: GENTIANA triflora var. japonica has strong upright growing stems, axillary bell-shaped flowers, blue to light blue, 6cm high. Prefers semi-shaded, moist, humus, lime-free locations. Optimal cut flower with long shelf life. 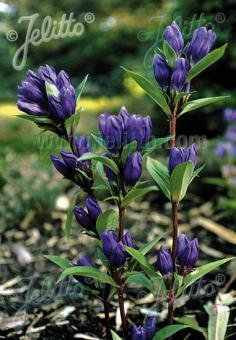 Requires similar conditions as GENTIANA scabra.